There is a rare momentum in the EV market where (1) strategic engagement of the regulators is combined with (2) a very strong acceptence of the auto industry by investing billions in new EV models and battery technologies and (3) charging infrastructure is also developing quickly to make e-mobility financially and economically appealing choice for companies compared to normal combustion engine vehicle fleets. According to a Telegraph article the Total Cost of Consumer ownership could reach parity with combustion engine vehicles from 2018. Combining telematics data with energy/charging management could result in huge financial and environmental impact for drivers and fleets on the operational level. The financial benefits of EV integration includes fuel savings up to 70% due to the cheaper electricity price compared to fuel on a yearly basis (calculation is based on prices in Germany), and also maintenance savings are remarkable as electric vehicles have significantly less wear and tear costs (no need for oil change, braking system is more durable, no spark plugs, less moving parts in the engine). Savings on the maintenance can reach 40%. In case of a 100 vehicle fleet the saving on energy costs can be 168 000 EUR on a yearly basis and further 20 000 EUR/year can be saved on maintenance. If the electrification of 100 vehicles is succesful it can reduce CO2 emission by 360 tons on a yearly basis assuming electricity production is clean. Successfully integrating electric vehicles into your fleet is all about understanding and managing vehicle usage patterns. By adopting EVs, fleets can achieve significant cost benefits with savings in gas and maintenance costs — but only if they plan it properly. Uncertainty about duty cycles can cause barriers and could result slower actions even if it is economically viable to replace normal ICE vehicles with electric vehicles. Telematics can help to evaluate how you really use your vehicles, including distances driven, potential charging opportunities, driving style, geography, temperature etc. If you are able to log your trips for 1–2 months, you can have a much better understanding about your needs and you can decide how you could optimize your fleet whether the solution is a pool vehicle or the electrification of the fleet. You can find an advanced study about driving cycles of EVs published in the World Electric Vehicle Journal here. When you understand how you use the vehicles, you can check whether buying or leasing an EV could make sense at all. Then the following questions might arise for you: Which vehicles could do the job for the given use case? There are further criteria to consider as cost driven decisions are not feasible in all the cases. (A)Shall I optimize for reducing fleet costs? Then TCO can help to decide which option is the best. (B)Do I want to make sure that there is no downtime due to need for charging as my business operation is critical? In this case you might invest more in vehicles with larger battery capacity or redundant charging infrastructure. (C)Do I have other social/contextual aspects to consider such as motivation or prestige? For example he Chief Commercial Officer of the company might be able to do all the client visits within the city with a Renault Zoé, but he got used to premium vehicles, so buying a Tesla or a BMW would be a better choice to align with his preferences or impress potential clients if its needed. In this complex environment the feasibility assessment could help you suggesting potential electric vehicles for a given role and suggest suitable charging infrastructure too. You can make a vehicle deployment plan taking into consideration new models in the market and changes in battery technology (potential ranges are growing gradually). Voltia is a company as an example that provides feasibility assessment and deployment planning beside offering e-mobility-as-a-service for logistics businesses considering to integrate EVs. Now you know how you use your vehicles, which vehicles could be replaced with EVs. You buy or lease the electric vehicles for your company. The next challenge is managing them on a daily basis. Here you will have a new aspect to consider which is charging management. Mastering this will define the success of your e-mobility integration project. Do we have the right charging infrastructure at the office for 10–20 vehicles? How about if we grow the fleet to 100? How should I make sure that all the cars are charged when my colleagues need them? How about home charging? How can I manage the reimbursement for my colleagues after using their own home electricity? The sales department wants to use the vehicles for intra-city sales trips after changing the initial sales strategy (yeah, we had a feasibility assessment, but there was a change). How can I access the public charging infrastructure? Is it possible without having multiple contracts? Those are the questions fleet owners/managers often ask related to operating e-vehicle fleets. There are great companies solving part of these problems such as public charging access solved by Plugsurfing or Chargepoint. Chargepoint also teamed up Schneider Electric to provide a more integrated energy management service. 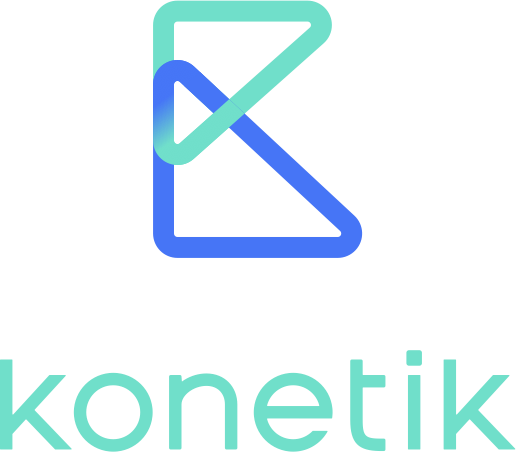 However at Konetik we identified a strong need for an integrated end-to-end e-mobility management platform that includes charging management, access to public charging infrastructure with automated fleet administration features and help fleet owners and managers to optimize performance. Managing charging is essential, not just for the fleets, but also for utilities to make sure that the grid remains stabile. Companies could reduce their energy costs if they help utilities to reduce the stress on the grid and they can get financial incentives to do so. This is called incentivized charging or smart charging. Telematics can also help you to find the right balance around battery State of Charge, jobs to be done, electricity prices and grid load. An example of such program are the Electric Vehicle Charging Rewards program by Con Edison in New York or the initiative by California based MCE in the US. Fleet operators, also in public and the private sector, can contribute significantly to the deployment of electric vehicles: first through generating demand towards the market, and second thanks to their broader role as amplifiers in promoting and facilitating the uptake of electric cars by their staff and customers. But paralelly with the widespread of EVs within fleet environment, there are new, but foreseeable challenges emerging and telematics can be a useful tool to overcome those.